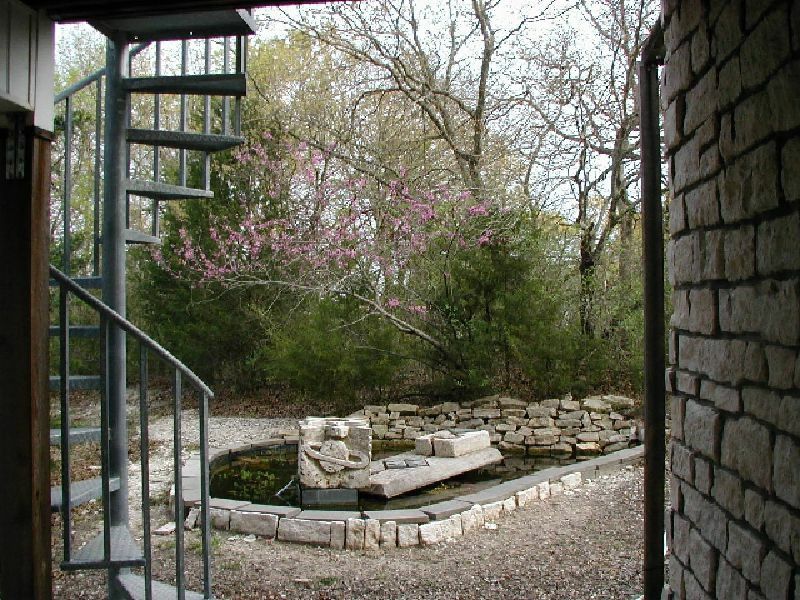 The Westbrook House is a 2713 square foot resource efficient house designed by Paul and Elena Westbrook. 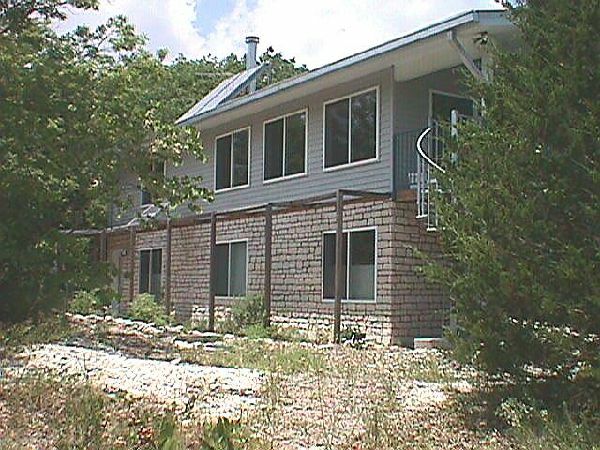 Completed in 1996 in Fairview, Texas (near Dallas), the house has been a model of energy and resource efficiency. The house design was awarded the 1996 NAHB Energy Value Housing Award for Innovative Design. See Awards/Media for more information. Check the Utility Data for more detail. View a detailed pdf file of the design process and features. Our builder was Richard Harwood of Enviro Custom Homes, 972.418.7772. 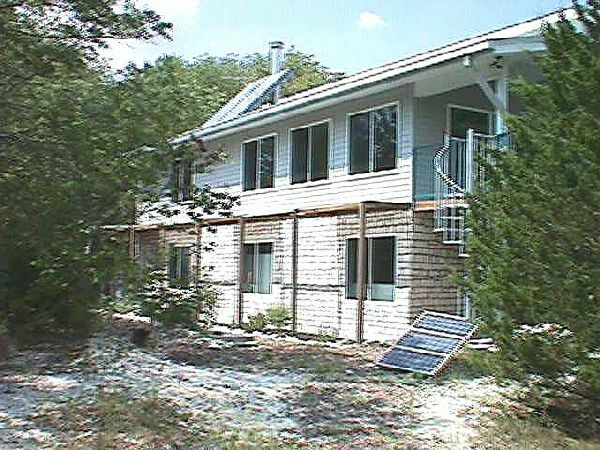 Passive Solar Design - Passive Solar has a slightly different priority in the part of the country that we live in (near Dallas, TX). We are in a predominately hot and somewhat humid climate. We want to capture free heat from the sun in the winter, but our primary objective is eliminating unwanted sun in the summer. We know enough about the movement of the earth relative to the sun that it is very easy to pinpoint exactly where in the sky the sun will be for any given minute of any day at any location on the planet. 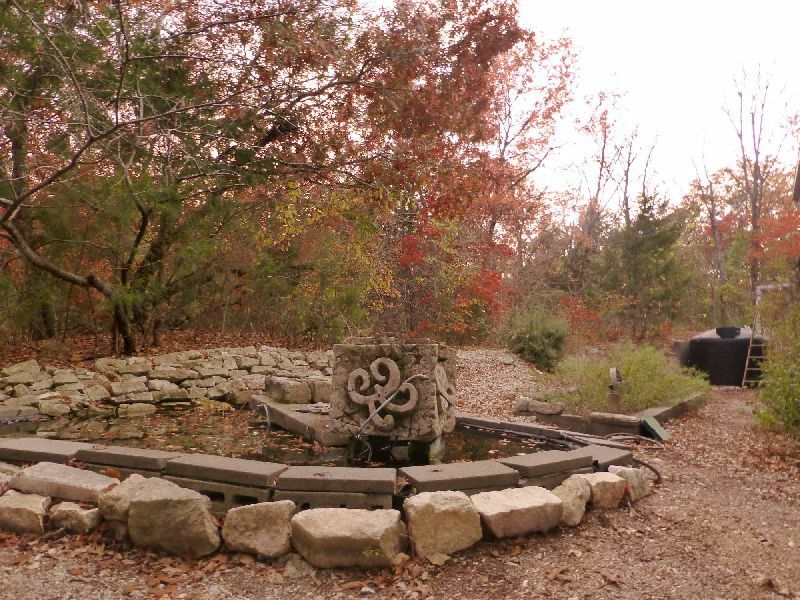 This location will vary over the months due to the tilt in the earth's rotational axis. In the winter, the sun rises more in the Southeast and is low in the sky. In the summer it will rise in the Northeast and move high overhead. 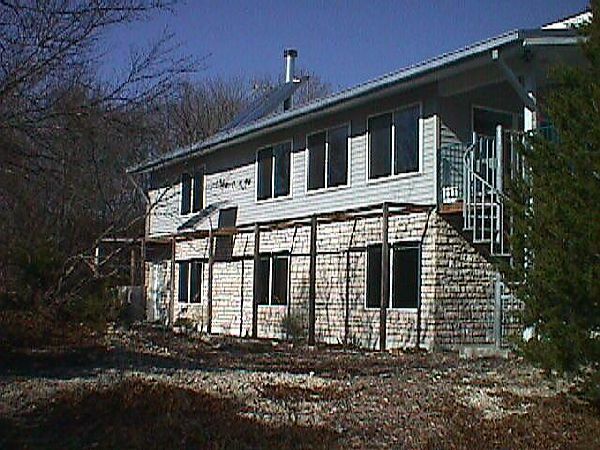 By placing the walls, windows, and overhangs in the right location you can virtually eliminate any direct sunlight in the house during the summer and still gain a considerable amount of free solar heat in the winter. 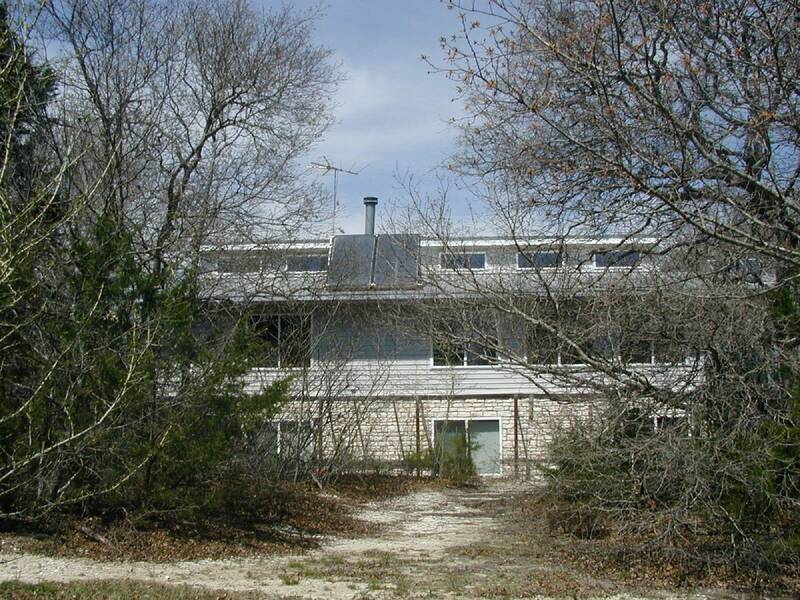 That's basically a passive solar design. 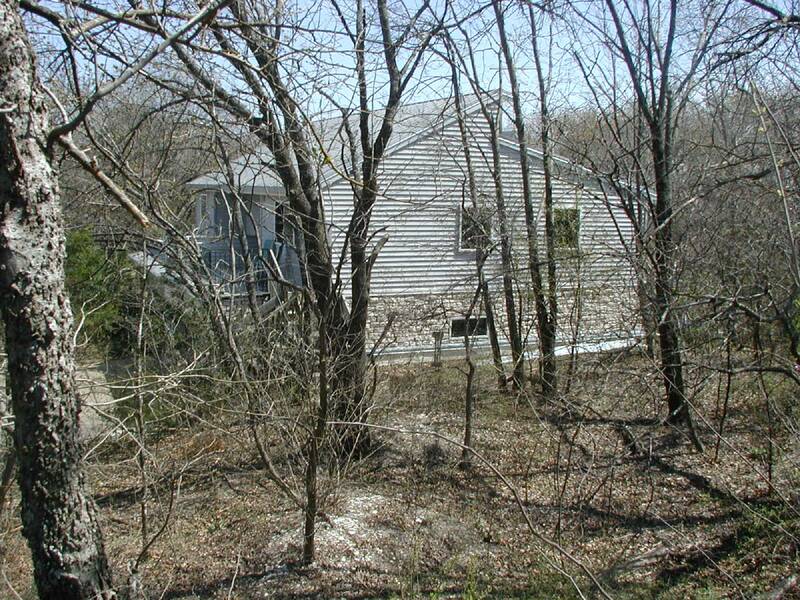 The house just passively sits there and takes advantage of this natural cycle of sun movement. There are also other passive strategies such as the color and materials of the walls and roof. The insulation value and the thermal mass of the building must be considered also. Again, most of these items do not really cost any additional money. The require no maintenance, replacement, or additional care. A design that takes advantage of the solar cycle is really so simple and elegant that I can't believe that more people don't take advantage of it. The overhangs are sized to shade the south face in the summer. 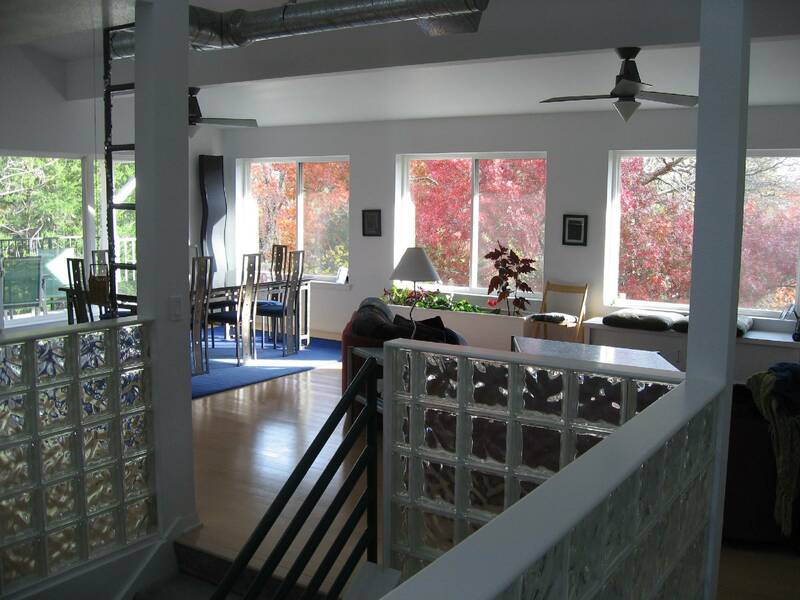 We get views and daylight, but not unwanted heat gain. The shade line is right at the window bottom during the spring and fall equinox. 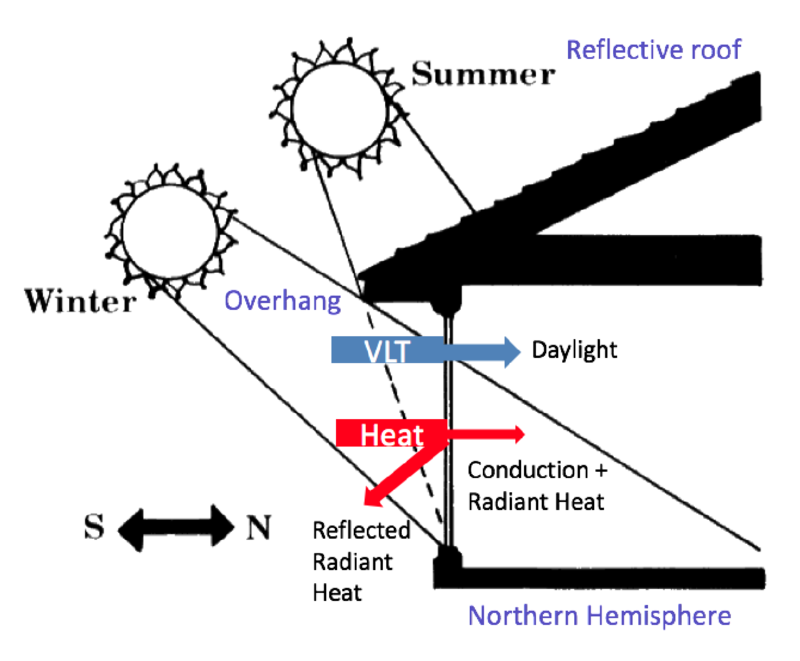 The low angle of the winter sun allows direct solar gain into the house in winter. 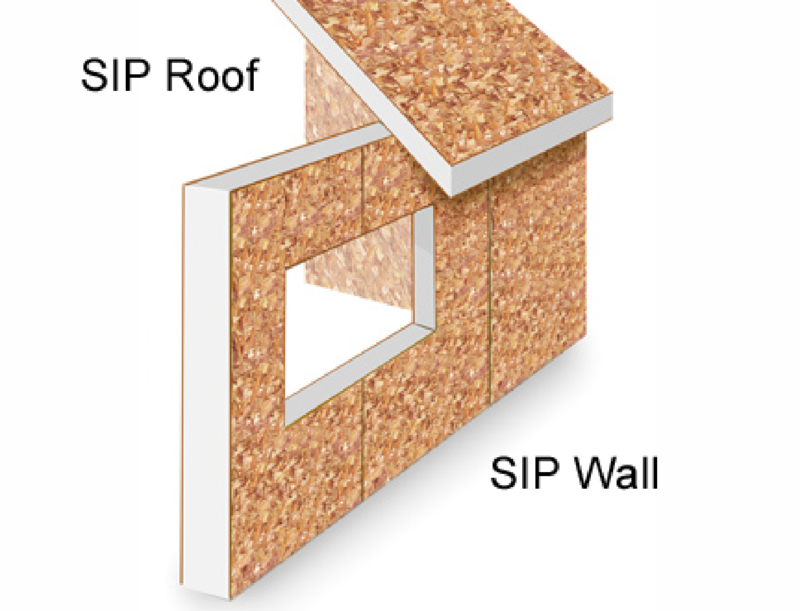 Our walls and roof are made from insulated panels. These panels have a foam core (EPS or polyurethane) and a skin of oriented strand board sheathing. There are no studs in the walls, so the insulation is consistent. The door and window openings are cut at the factory and the panels assembled quickly onsite. They provide a well-insulated and air-tight shell. Our panels are made by Korwall and are 6" for the wall (R-23) and 8" for the roof (R-30). Insulation and infiltration are two of the most important items to increase comfort and lower energy use. SIPs addres both issues. 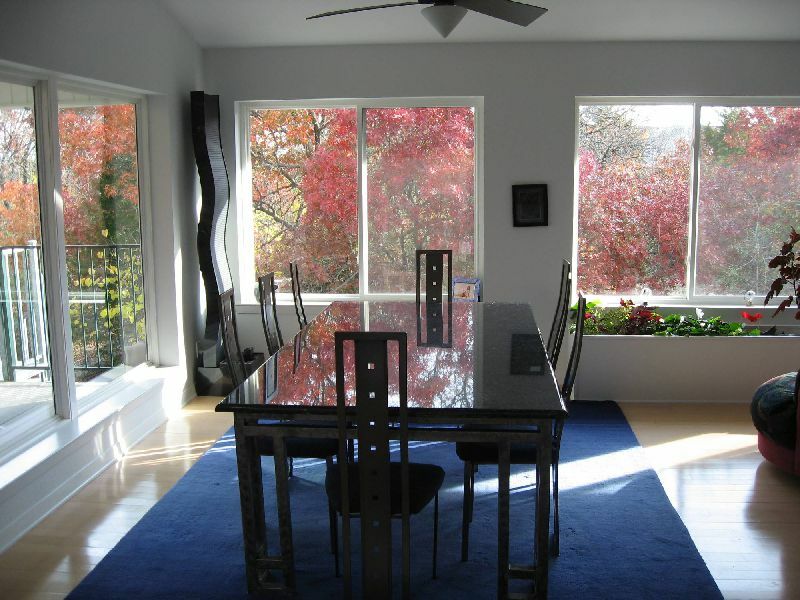 Window placement, shading, and quality are very important factors in good home design. We selected quality windows with a vinyl frame (good insulation and low maintenance), a low U-value (to reduce conduction), a low-E coating (to reduce radiant heat gain), low inflitration, and high visible light transmission (VLT). We placed most of the windows on the south, with very few on the east and west. 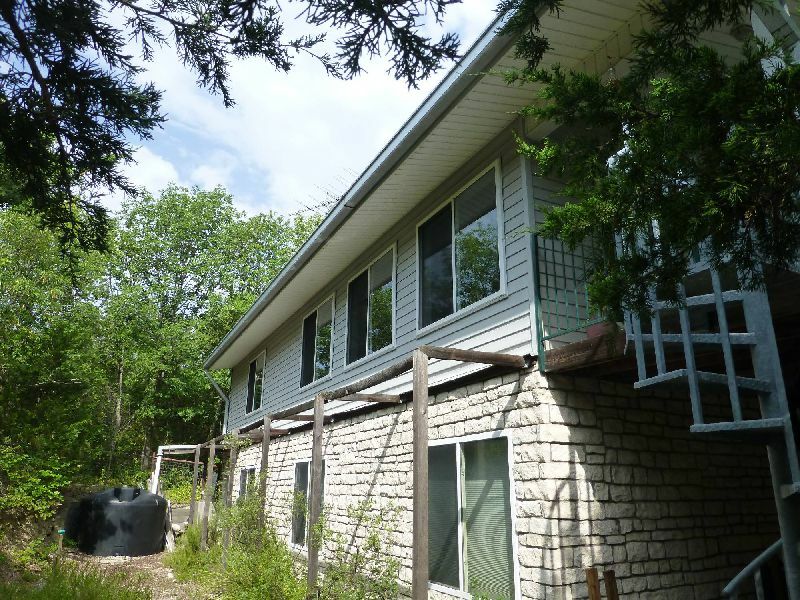 The windows have proper overhang sizing to reduce unwanted heat gain in the summer. In a climate like ours, where we are tyring to reject heat for the majority of the year, the roof is a critical component. 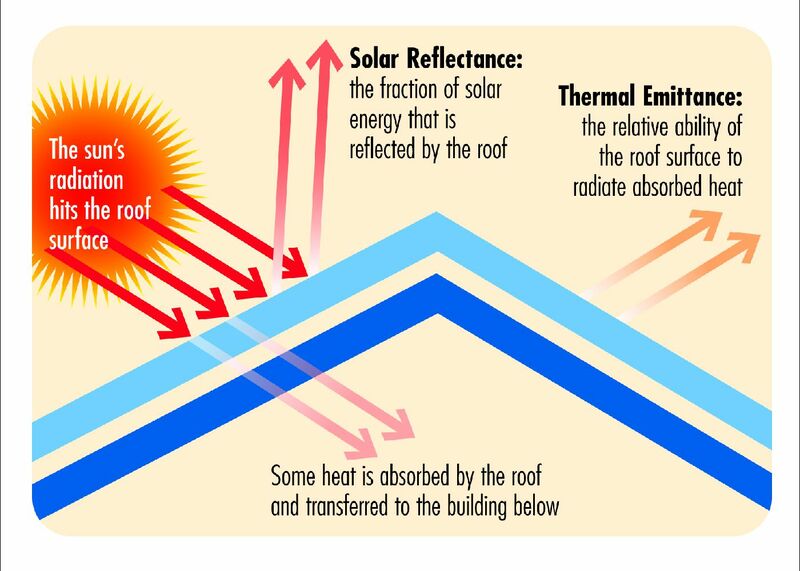 It faces the hot summer sun directly, so a reflective (or cool) roof is a key energy saving strategy. We chose a galvalume standing seam metal roof. It has good reflectivity and a very long life. It is also hail resistant, which qualifies us for a large homeowners insurance discount.